Our philosophy and commitment have always been treating quality as our highest priority. We are constantly improving and re-inventing our quality procedures. 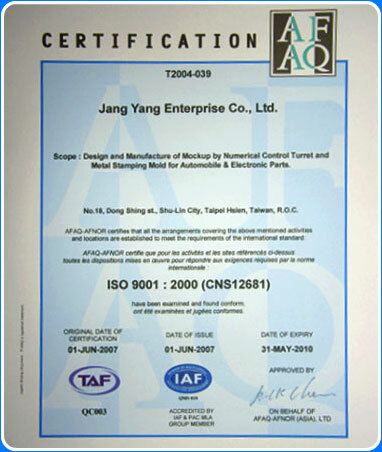 In 2004, we were officially certified by ISO 9001:2000 and we are currently fully implementing the non-lead production process. ommit to establish and maintain the best quality management system. Continue to understand customer’s requirements. Provide customer with highest quality and service in a timely fashion. Encourage all staff member to fully participate in continuous improvement of department effectiveness. Continue to improve the level of our customer satisfaction.